Last week, I wrote about my frustration with Britain’s enduring dislike of sales people. It’s drives me mad. We need to treasure our salespeople and understand the value they bring to the economy. This week I’m back on my soapbox. This time, in defence of the White Van Man. On Wikipedia, I found a definition. It says that the White Van man is ‘typically perceived as a selfish, inconsiderate driver who is mostly petit bourgeois and often aggressive.’ Where the hell does this misconception come from? I spend a lot of time with the tradespeople and engineers who drive Ford Transits. This is because of my regular “shop floor days” [read more about them here: https://www.linkedin.com/pulse/shop-floor-day-let-martin-take-closer-look-martin-port/]. 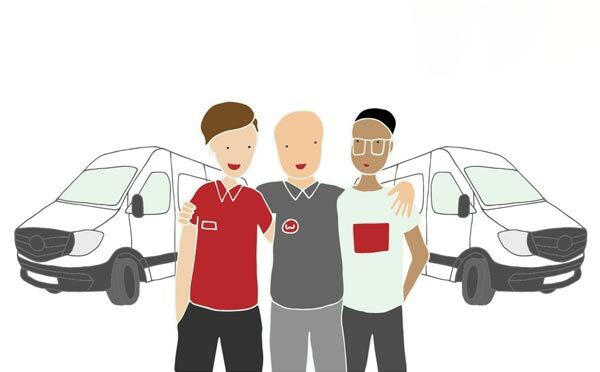 I’ve spent 100 days on the road with White Van Men in my time, and every single one of them has been a decent, kind person who goes the extra mile for their customers and does a difficult job with long hours. These engineers and drivers are absolutely vital to the UK. There are around 2.5m white vans out on the road. These people are delivering parts, fixing our broken equipment, bringing our shopping, and keeping our utilities running smoothly. They go out in the rain and snow, all hours of the day and night, to do their job. Yet they do not get the respect they deserve. The rise of internet shopping has put a lot of pressure on the couriers that deliver all our parcels. So yes, some of them may be pushy drivers, but only because they have up to 100 pick-ups and drop-offs to make in a single day. Don’t blame them, blame the managers and office staff that send them on poorly-planned routes and overload them with deliveries. 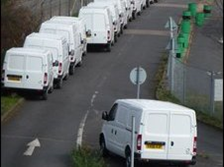 But, according to the Renault Master White Van Man study, couriers account for just 22pc of vans on the road. The typical driver is actually: “a service engineer, a fishmonger, a roofer, an exhibitions erector, a picture framer or even a theatre director”, it explained. The WVM experiences a lot of prejudice. “People look at me like I’m dirt,” one, Patrick, told me. He spends up to 25 hours a week driving in his van – double that if he’s on call – covering a catchment area that reaches from Romford to Acton, all the way to Cambridge. “Often we are doing the nasty little jobs that people don’t realise are getting done but which are essential to their lives. Yet people have a bad attitude towards us. In my experience, WVM can drive between 15,000 and 25,000 miles a year Who would want to spend that much time behind the wheel, often stuck in traffic? It’s time that we truly appreciated the White Van Man. They do an amazing job, often under tough conditions. Let’s stop putting these people down. I’d love to hear from you on your thoughts so please leave a comment below.